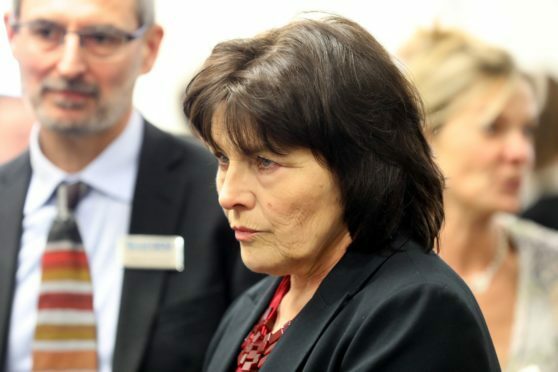 Health secretary Jeane Freeman has been told to take “urgent action” over a treatment scandal at NHS Tayside which may have put patients at an increased risk of developing recurrent breast cancer. The Courier reported on Friday that official findings to be published next week into the care of 304 individuals given lower than standard doses of the chemotherapy drug docetaxel will advise the practice made it more likely their cancer would return. The report, conducted by an independent review panel as part of a Healthcare Improvement Scotland (HIS) probe, found that as a result of the treatment regime in Tayside, one more patient in every 100 may develop recurrent breast cancer. Oncologists in Tayside prescribed lower amounts of docetaxel between December 2016 and March 2019 in an attempt to reduce side effects of the standard 100mg dose offered by other health boards. They did not advise patients of this decision. Scottish Labour health spokesperson Monica Lennon, in a letter to the health secretary, said the revelation – which only came to light after a whistleblower at the health board spoke out against the practice – had caused “significant public shock and concern“. She said: “(Ms Freeman) announced two reviews into the situation at NHS Tayside and this work should not be allowed to drag on or be delayed. Ms Lennon insisted there “must also be clarity about how such a situation could arise and be permitted to continue for so long” and said the matter had raised concerns over whether NHS staff in Scotland feel valued and listened to. She pointed to the HIS report’s suggestion there was “evidence of a dysfunctional team environment” within Tayside oncology and described claims health chiefs and ministers had been aware of the reduced doses for years without objection as “alarming”. Ms Lennon added: “It is time that the individuals affected are treated with the dignity and respect that they deserve. Mum-of-four Lee Dennis, who set up the NHS Tayside Cancer Care Support Group, said she was trying not to think about any prospect of her cancer returning after being told she was one of the patients given the lower dose. A Scottish Government spokesman said: “We absolutely expect every health board to ensure that every cancer patient gets the right treatment at the right time. “The Healthcare Improvement Scotland (HIS) report came about as a result of staff raising their concerns with the Scottish Government. “Importantly, it was the Chief Medical Officer and the Chief Pharmaceutical Officer who passed these concerns to HIS to specifically guard against any unnecessary variation in treatment. “We recognise that the HIS report may be concerning for patients and their families. Patient safety is always the number one priority for the Scottish Government and NHS Scotland. “That is why the Chief Medical Officer also commissioned an expert group, chaired by Professor Aileen Keel (Chair of the Scottish Cancer Taskforce and Director of the Innovative Healthcare Delivery Programme) to fully consider all the individual recommendations. NHS Tayside has repeatedly apologised for the worry caused to patients and families and said it is continuing to arrange appointments to discuss care.